When even researchers seem conflicted on exercise subjects ranging from the amount of time we’re supposed to dedicate to exercise to the proper time for a workout, it can be tough to feel motivated enough to get moving. 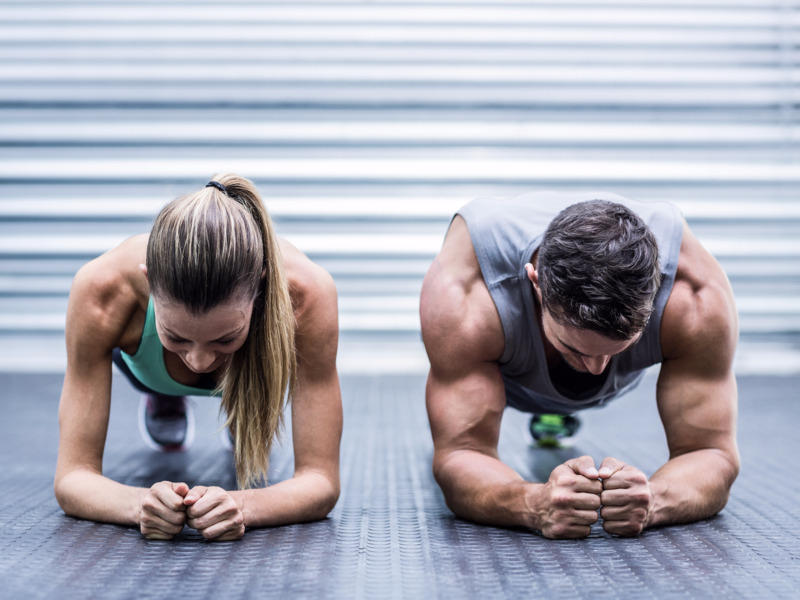 Because there’s so much conflicting health and fitness advice out there, we’ve outlined all of the biggest workout myths and misconceptions and countered them (where possible) with truth. Use this as a guide to get fit in the most efficient way possible. Learn the reality about the best time of day to hit the gym, the quickest ticket to 6-pack abs, and why running a marathon isn’t the best way to achieve your fitness goals. Researchers behind a study published this summer in the Journal of the American Heart Association found that older people who spent less time sitting and more time moving had fewer signs of encroaching heart disease — as measured by key markers of damage in the blood. The scientists had 1,600 British volunteers ages 60 to 64 wear heart-rate sensors for five days. They analyzed the participants’ activity levels and compared them to indicators of heart disease such as cholesterol precursors and a substance called interleukin-6. Overall, the participants with more activity had lower levels of all of the negative biomarkers. “It’s important to replace time spent sedentary with any intensity level of activity,” said Ahmed Elhakeem, the study’s author and a professor of epidemiology at England’s University of Bristol. Truth: As far as calorie-burning capacity goes, our metabolisms barely budgeafter age 30, according to the National Institutes of Health. That means this frequently vilified component of our bodies is not the real culprit when it comes to the pounds that seem to creep on with each passing decade. Instead, age-related weight gain has far more to do with activity patterns, which slowly grind down over time. The best way to avoid age-related weight gain is simply moving around more.